Injustice’s story takes place across two separate universes. One universe is similar to the DCU proper, while the second is a totalitarian police state ruled by Superman, who flipped and turned evil after a huge tragedy. 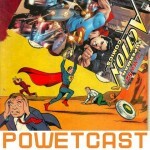 Most of the universe’s heroes and villains have joined Superman’s regime, and it’s up to the heroes of the DCU proper to liberate the world from his rule. The game’s story mode is similar to the story mode in Mortal Kombat 2011, in which you play as different characters in each chapter. Once the game’s story is done, there is still a lot to keep you busy. You’ve got classic arcade mode with endings, and the Star labs missions, which are similar to MK’s challenge tower missions, and you even get a storyline to go with each character’s missions! Of course there is also online play as well. The character roster of Injustice takes from all corners of the DC Universe. Along with the usual suspects like Superman, Batman, and Wonder Woman, you’ll also get lesser utilized characters such as Solomon Grundy, Deathstroke, Black Adam, Ares, Killer Frost, and Raven. 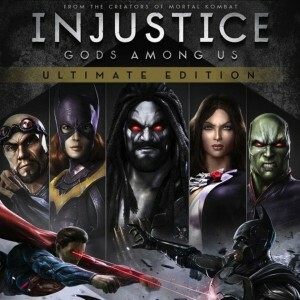 The Ultimate edition contains additional characters such as Lobo, Batgirl, and even Scorpion from Mortal Kombat. Everyone has a redesigned costume that fits well into the these of the game. While there are some notable omissions (Darkseid, Cheetah, Braniac, Black Manta, Blue Beetle, Booster Gold among others), and a few too many Bat-family characters, DC fans will nerd-out when they see the huge character roster. They’ll nerd-out even more upon seeing the additional costumes for various characters, including Blackest Night-inspired zombie skins, Ami-con girls, and Red Son Superman and Wonder Woman. You’ll love the pre and post-match sequences too. They’re more than just the standard pose/make comments. You’ll get to see them do stuff you don’t normally see in a fighting game. Deathstroke’s animation is one of the coolest in the game. The game’s combat is similar to MK’s combat, although there is more interaction in the backgrounds. You can knock an opponent somewhere, only for the fight to end up in another part of the stage. Some of the craziest examples of this are in the Hall of Justice and the Arkham Asylum levels. Since this is a T-rated game, instead of fatalities, characters get super moves that do an insane amount of damage to an opponent. They’re so absurdly powerful that it seems if it shouldn’t be possible for some characters to survive these attacks. Here’s an example: Superman takes his opponent into outer space, flies out there, and knocks them back to Earth. Batman does a number of attacks culminating in having his batmobile running over his opponent. Imagine these tings happening to people like Catwoman and Green Arrow, only to have them get up afterwards. Yeah, I know suspension of disbelief and all ( and there’s an in-story explanation to how people like Catwoman and Harley Quinn can gain the strength to stand toe-to-toe with Superman and Black Adam), but come on now. Still, the attacks are pretty cool to watch so I’ll stop complaining. DC fans can rejoice, because Injustice is the best game based on the property not named Batman Arkham anything. DC fans will love it because of the sheer amount of content while fighting game fans will love it due to it’s fluid combat system. I hope other fighting game developers, Capcom included, are taking notes. If Capcom ever gets to making a Marvel vs Capcom 4, they could stand to borrow a few ideas.